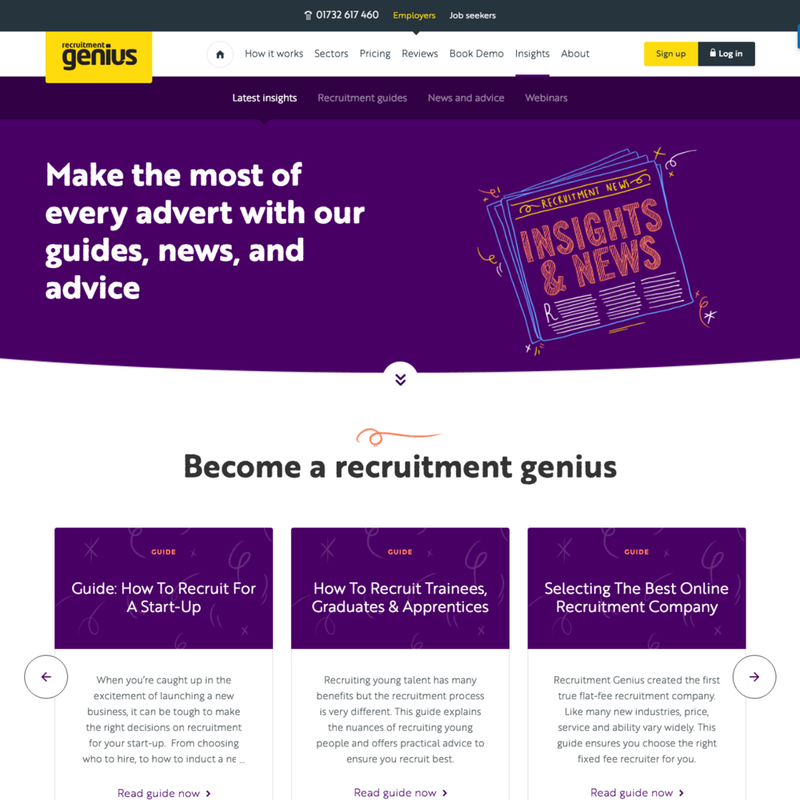 Recruitment Genius is the UK's biggest recruitment agency and has so far filled more than 80,000 roles for more than 11,000 employers. 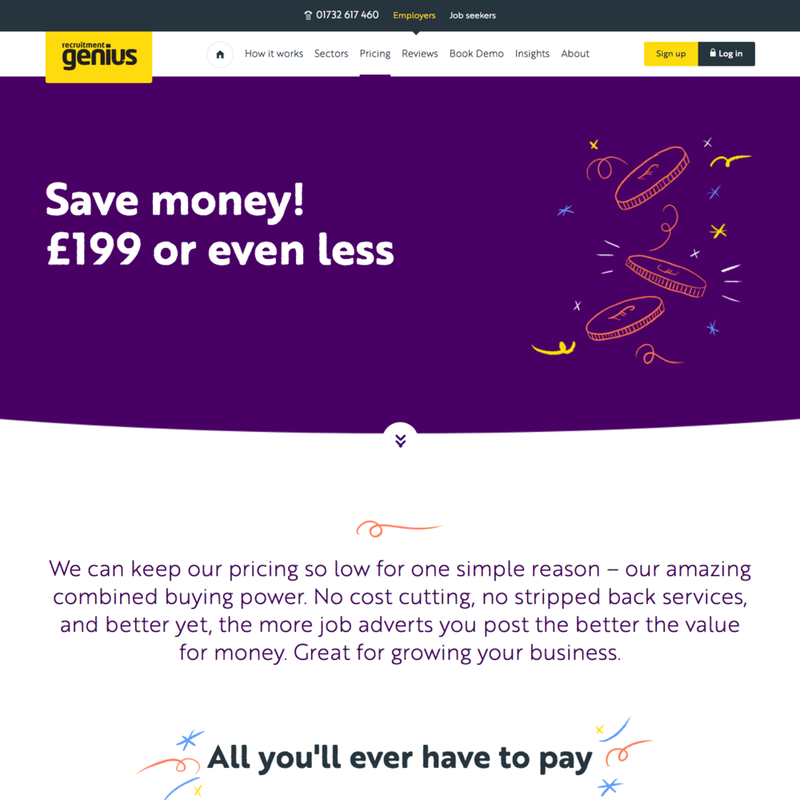 Recruitment Genius approached me to help them completely rewrite their employer website and create a new tone of voice to match a wider rebrand and redesign exercise. 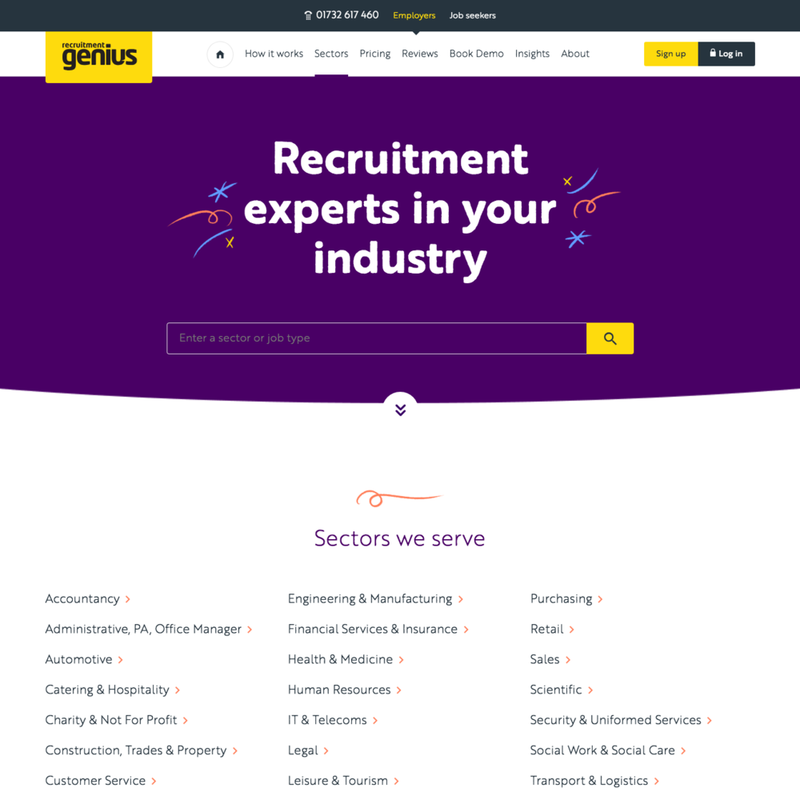 The rewrite was extensive as it involved not only page elements like links, CTAs, headlines and labels, but also long form descriptions of recruitment sectors under the banner of 'industry spotlights' to help recruiters target and write their job ads more effectively.